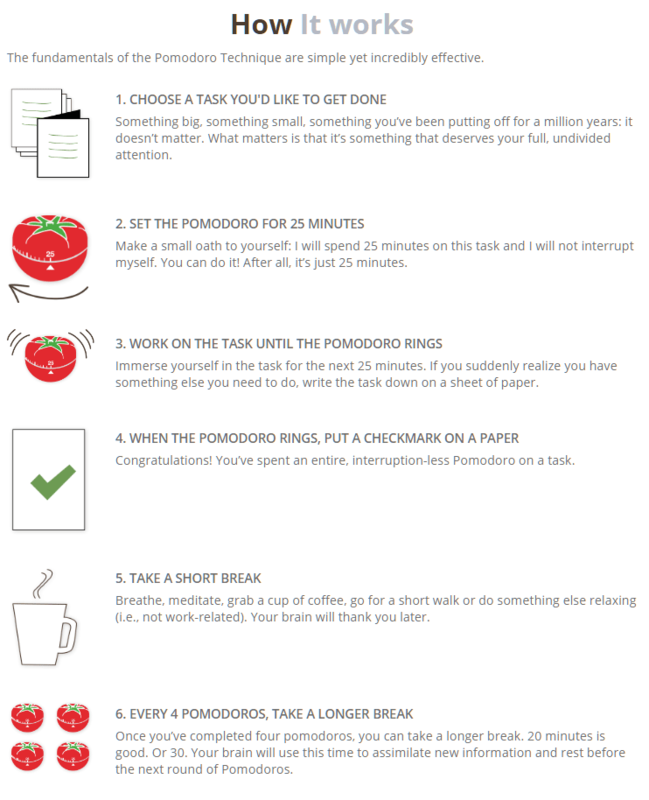 With the Pomodoro Technique(R), you focus on one task for a specific bite of time (e.g., 25 minutes), then stop for a planned break. It’s a proven method that can help you from Day One, with zero cost. Or if you want more coaching and tools, the Pomodoro Technique(R) creators have plenty to offer you. *Image from the Pomodoro Technique(R) website. ADHD9to5.com is not affiliated with the Pomodoro Technique(R) organization, and we will make no money if you buy their products. But we do think they’re great!